We’ve scoured our archives and the web to find the best advice for how to make your 20s as enjoyable and productive as possible. When you’re just starting to build your career, it can be difficult to arrange your days for maximum productivity. As Étienne Garbugli, a Montreal-based entrepreneur and author, explains in his presentation “26 Time Management Hacks I Wish I’d Known At 20,” setting deadlines for everything you’re working on and avoiding multitasking are two keys to effectively managing your time. 2. They don’t prioritise money above all else. While there are those who spend their 20s drifting without direction, there are others who are so afraid of failure that they take a job solely because it provides a comfortable paycheck. But, says Quora user Rich Tatum, that job you’re not interested in quickly becomes a career, and by the time you’re 30, it’s a lot harder to start pursuing your passion. The key, says author Cal Newport, is to pursue something that you’re passionate about and is valuable to employers. A Bankrate survey of 1,003 people found that 69% of those ages 18-29 had no retirement savings at all. Twenty-somethings who don’t have enough foresight to recognise that one day they’re going to retire and need money to live on are missing out on years of money gained through interest. Entrepreneur Aditya Rathnam says there’s no need to start investing too much, since you’re just starting your career, but it’s essential to take advantage of your company’s 401(k) matching program, if one is available, and/or open an IRA account. 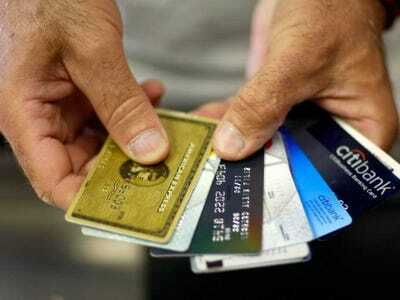 Joe Raedle / Getty ImagesUse cards to build credit, not rack up debt. Seventy per cent of college students graduated with an average of $US30,000 in student loan debt last year, but that doesn’t mean that debt is somehow a badge of adulthood. Debt will start to haunt you, says Quora user Thea Pilarczyk. Develop a repayment plan that lets you pay off your loans as quickly as you are able to and is within your means, and use credit cards to build credit, not pay for things you can’t afford. While you’re still young, says Quora user Mo Seetubtim, develop healthy habits that will set you up for the next phase of life. Enjoy your vices in moderation, eat well, and choose a workout over a happy hour now and then. If you’re an ambitious 20-something who thinks that adulthood means having things figured out, then getting fired from a job, ending a serious relationship, or having your company fail can be devastating. But the truly successful are able to learn from what went wrong and move forward all the wiser. “Getting fired and waking up the next day as usual made me realise that failure isn’t the end of the world. Getting dumped taught me the difference between a good and a bad relationship, something I already knew inside but refused to accept until the bad relationship was over,” says Carolyn Cho on Quora. 7. They don’t try to please everyone. Your 20s are a time to start building a network that will establish a foundation for your career. If you know that, it’s a good idea to be on friendly terms with your boss, clients, and all of your coworkers. Eventually, however, you’re going to meet people you don’t like and those who don’t like you. That’s normal, and not a sign that you should change yourself, as long as everything else is going well. “Inevitably, someone will always dislike you. I wish I had figured this out a lot earlier and stopped trying so hard and worrying so much about it,” says Cho. While it’s good to set career goals that keep you focused and motivated, you should avoid getting caught up in intricate five-year plans, Joe Choi says on Quora. 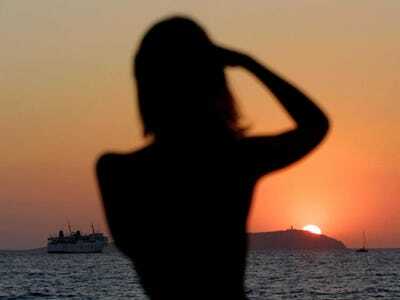 Author and investor James Altucher says that one of the main problems he’s found among people in their 20s is that they get caught up in absolutes. He recommends keeping yourself flexible and open to new experiences. There’s a good chance that the ideal life you envisioned for yourself at age 20 doesn’t resemble the one that ultimately makes you happy at age 30. Degrees from elite universities may make you smarter and help your reputation, but they won’t count for much if you don’t keep learning as you go. Read as much as you can about your industry, and learn to develop skills that you probably never would study in a classroom like “the abilities to assimilate, communicate, and persuade,” Tatum says. ReutersSee as much as you can before you get tied down. When you’re just starting out, you probably don’t have much disposable income. But just because you can’t take a week-long ski trip in Switzerland doesn’t mean you should confine yourself to the space between work and home. Your twenties, Shikhar Argawal says on Quora, are a time when “you are mature enough to go out on your own and immature enough to learn from others.” Break out of your bubble as much as you can afford to, and don’t ignore career opportunities far from home if they arise. “Your college pals that you think will be your best pals for life? Some will still be there at 40, most will be living their lives doing their thing,” says Sutherland Cutter on Quora. As everyone is figuring out their lives, you’ll realise that relationships take work to maintain. It’s worth staying in touch with former coworkers and buddies, though. The 1973 study “The Strength of Weak Ties” by Mark Granovetter of Johns Hopkins University found that the weak ties you share with acquaintances are most often the connections that get you ahead, since they have access to different networks and ideas from you. Picking fights and holding grudges will make you miserable, Tatum says, whether that’s in your personal or professional life. You’ll realise soon enough that your hard work won’t always be recognised, either, Rahul Bhatt writes on Quora. But never let that be an excuse to be lazy or bitter. You should definitely use the time when you’re still single and without kids to take bigger risks than you otherwise would, but that isn’t a call to live recklessly. A decision you make in a few seconds off an emotional impulse “can rob you of years of joy and happiness,” Tatum writes. 14. They understand that their parents aren’t always right. Quora user Arpan Roy writes that as he looks back on his 20s, he’s come to see that even though he loves his parents and appreciates their advice, it wasn’t always the best for him. As you grow older, you’ll come to see your parents less as authority figures and more as people just doing the best they can. “After all, your parents are human, and humans are not correct all the time,” Roy says. The deceitful manipulation of others and sucking up to superiors can only take you so far — they’re not the keys to a lasting, fruitful career. “The truth has a way of rearing its ugly head, so the sooner you can come to integrity with yourself and the world at large, the sooner you’ll be able to get working towards what you really want, who you really want to be,” Arjuna Perkins says.